Susan McIntyre-Tamwoy (a researcher who has been working for IRCI’s research projects) visited Singapore to present papers, which include the results of field research commissioned by IRCI. On 25 January 2016, she presented a paper on trans-border ICH and the challenges for implementation of the 2003 Convention, at the 3rd Singapore Heritage Science Conference held at Nanyang Technological University. 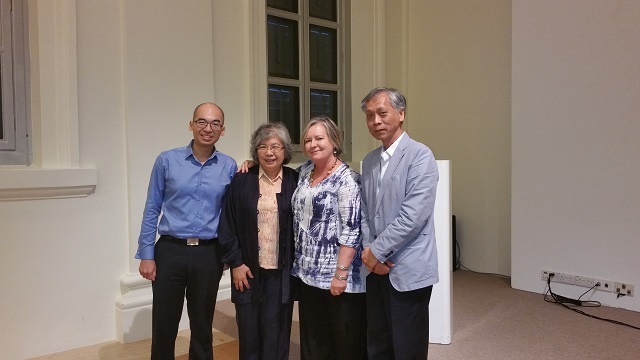 On 27 January, she also had a meeting with members of the National Heritage Board of Singapore at the National Museum of Singapore to give a talk on “Safeguarding Intangible Cultural Heritage: How other countries in SE Asia are utilizing a mix of legal and non-legal mechanisms.” This talk reflected IRCI’s project, Study of Legal Systems Related to Intangible Cultural Heritage in the Greater Mekong Region, for which she provided professional assistance.